Through the Wire | "Hey, I'm just happy to be here…"
“Conference of the Birds” is my weekly radio program on WNUR-FM. It airs on Tuesdays from 5-7:30 am Chicago time (UTC-6). And, of course, when technology cooperates, you can just come here for the archives. You can subscribe to the podcast with this URL (click here to subscribe in iTunes). This week I decided to go long on Highlife music, one of the the wonderful popular musics of West Africa. This isn’t a particularly scholarly show, although I was inspired partly because I started reading a book on the subject. Of course, long time listeners have heard some of this before, but this show is a little more directly focused on Ghanaian and Nigerian highlife. Nevertheless, it wouldn’t be a Conference of the Birds show if I didn’t directly contradict a theme, so there’s a smattering of loosely related music like Calypso and some even more loose relations. Don’t sweat it! It’s far from a theme, but while I was putting this show together, news of the rioting in Baltimore was spreading, which explains the scattering of tunes with that city’s name. In the moment, this didn’t feel like a very ‘together’ show, but there are plenty of good tracks in the playlist so give it a listen and tell me the verdict. This week I decided to feature music from Johnny “Mbizo” Dyani, the legendary South African expatriate bass player/pianist/bandleader. Dyani will be familiar to regular listeners to the show, but I really love his music and thought it was past time to do a deep dive. Since the guys before me do a much more pop/rock show, I decided to spend the first hour or so of the show transitioning from that—so there’s a lot of great non-Dyani music at the top. After landing on one of the songs with “testify” in the title, I realized how many other interesting songs I had with the word in the title. Only two versions of the same actual tune—”I Wanna Testify”—originally from the Parliaments and then again by Johnnie Taylor. After that set, we lingered a little in the gospel zone, and then a classic CotB mix of soul, afropop, jazz and the like. No theme to this week’s show, but a good number of obscure gems. Last Sunday was “International Women’s Day.” In honor, today’s show features women musicians. PS if you make it all the way to the end, there’s a bit of bonus music from Steven’s show: “Today, Today” by Nicole Mitchell’s Ice Crystals. Phoneathon week this week. I pulled out a few greatest hits but also found plenty of new (to the show) good stuff. I tried to keep the pitching to a minimum, but thanks to the listeners who did donate. 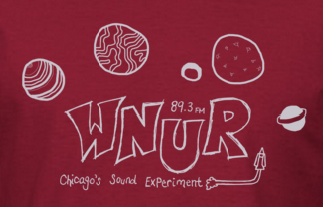 WNUR’s phoneathon is over, but you can still contribute online, if you’re so inclined. Your support is appreciated!